Well, it may be because I love fall and it’s finally starting to feel like it around here, but it is starting to feel like things are getting back to normal! The boys are doing so well at school, and I know that our routine is working because I finally was able to take the “reminder post-its” for bottles or whatever else I thought I may forget on any given day off of the back door! And last week, for the first time in probably 18 months, I made a little time for myself to head to the spa. I got a diamond resurfacing treatment done (more on that soon!) and had my nails done. 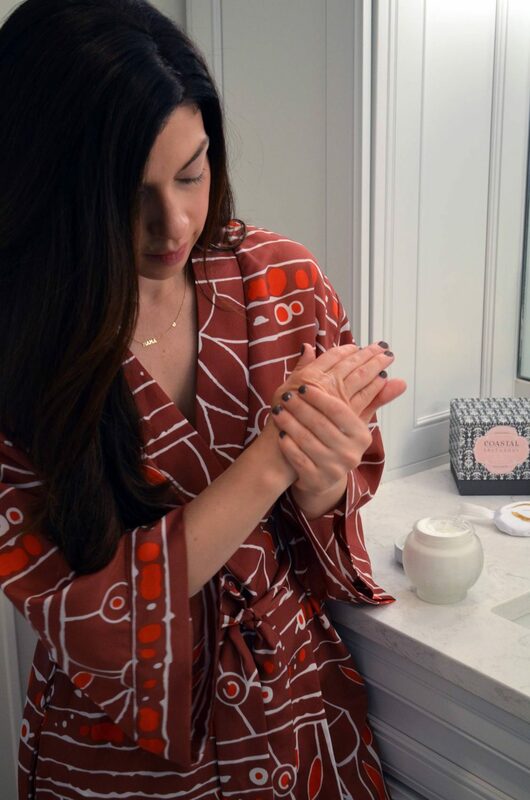 Truthfully, these days, it seems as if pampering (when possible) comes in 15 minute increments, at most, and it’s done at home. I squeeze in a little at home pedicure when I can, or when my nails are so bad I can’t wait any longer. But what I’ve learned to do is add little luxurious elements to my day that make me feel a little bit pampered. 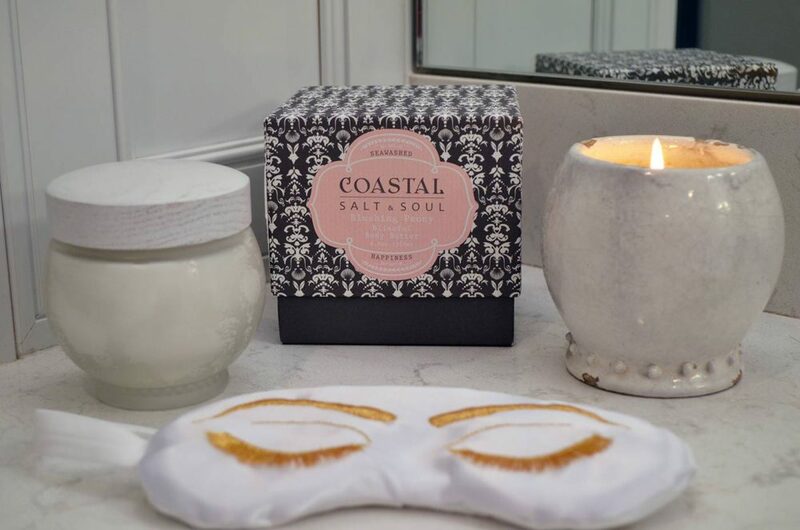 For this week’s Mommy Monday, I got to try out some products from Coastal Salt & Soul and these products have definitely fit into that “little luxuries” category for me. Night time seems to be when I have the most opportunities for a few “me time” moments. So, I’ll light my scented candle when the kids go to bed and I get cleaned up for the evening, doing my favorite face mask and sitting quietly, likely scrolling through Instagram. The ocean gardenia scent is really fresh, feminine and pretty. It really has that spa feel, so I love making it a part of my evening routine. 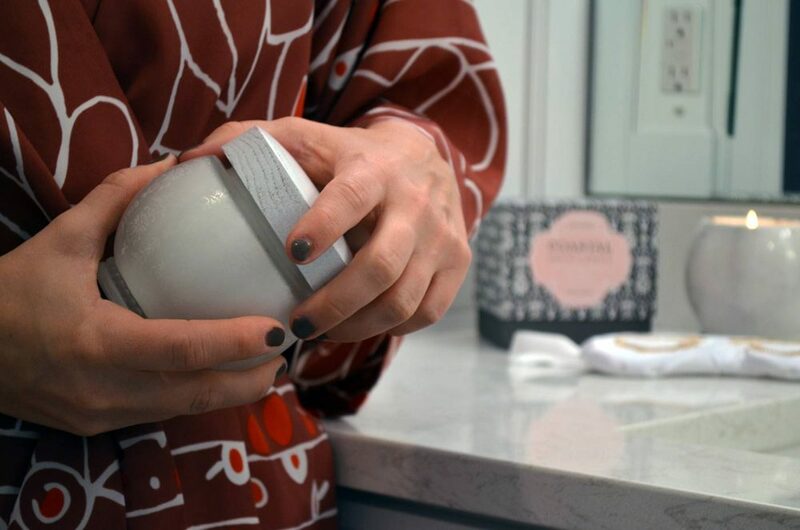 Another one I loved is the Coastal Salt & Soul Blissful Body Butter in Blushing Peony. The scent on this one is heavenly, and also has that luxurious feel. 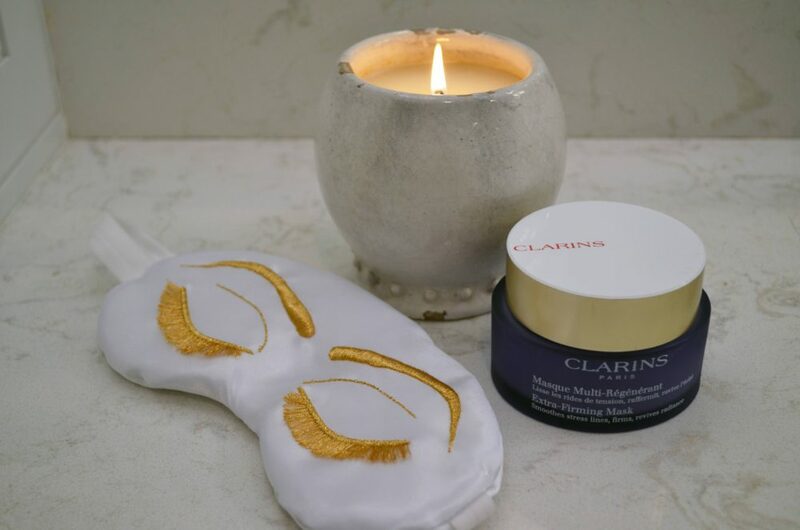 The product itself is super soft and moisturizing and it’s really nice to put on before bed, as it’s really nice and relaxing to take in while you settle in. a $175 Sephora Gift Card! This giveaway is open internationally and runs until 10/17. All of these sound great, some nice gift ideas for my wife. That eye mask is so cute! And these products sound amazing. I need to try! That looks so relaxing. I love taking some time to pamper myself too! Sounds like a great way to end the day! These are so pretty and I love that eye mask! I think I need to try that body butter!! Love goodies like this!! Goodness. I need to do this for myself. This looks so relaxing. I’m in so much need of a mommy spa day! LOVE that you got to enjoy some time to yourself! what a great giveaway! i’m all about treating one self!